If you have suffered a traumatic brain injury, you could be dealing with physical, mental, and emotional impairments for the rest of your life. A brain injury is a serious injury that can easily lead to a long-term disability. If someone else caused your brain injury, you should consult with a Spokane brain injury attorney from Craig Swapp & Associates immediately. We can help you seek justice and compensation from those responsible for causing you harm. We can help you receive the financial compensation you deserve, regardless of whether your brain injury occurred in a car accident, slip and fall, or any other kind of accident. As long as your injury was caused by the negligence of someone else, you can file a lawsuit against him or her. If you have any of these symptoms or feel strange after your accident, you should visit a doctor for a full medical evaluation right away. If you are diagnosed with a brain injury, you should call our office and speak with a brain injury attorney in Spokane to explore your options for compensation. After suffering a brain injury, you have the right to file a lawsuit, but you must do so prior to the statute of limitations expiring. Washington State allows you three years in which to take action through a personal injury lawsuit. To protect your rights, you should call our office and speak with a Spokane brain trauma lawyer right away. We can file your lawsuit even while you are still receiving medical care, thereby ensuring that you do not lose the opportunity to receive monetary compensation. Your brain injury lawyer in Spokane will fully value your claim and ensure that all of your damages and losses are factored into your end settlement amount. Do not delay in discussing your case with a Spokane brain injury attorney. 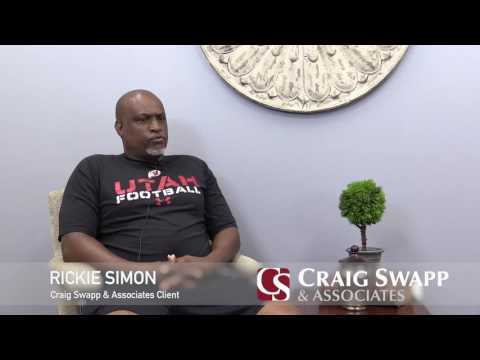 At Craig Swapp & Associates, your initial consultation is free and carries no obligation to you. Let us help you seek the compensation that could enable your recovery. Simply fill out the form below or call us at 1-800-404-9000.